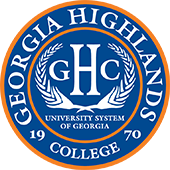 Georgia Highlands College, a state college of the University System of Georgia under the governance of the Board of Regents, was founded in 1970 to provide educational opportunities for the physical, intellectual, and cultural development of a diverse population in seven northwest Georgia counties. With the advent of distance learning technologies, specialty programs, five thriving campus locations, and collaborative arrangements, the College has expanded its scope of influence beyond the institution’s original geographical area. To provide access to a teaching and learning environment that prepares our students to thrive in a global society. The philosophy of Georgia Highlands College is expressed in the beliefs that education is essential to the intellectual, physical, economic, social, emotional, cultural, and environmental well-being of individuals and society and that education should be geographically and physically accessible and affordable. In support of this philosophy, the College maintains a teaching/learning environment which promotes inclusiveness and provides educational opportunities, programs and services of excellence in response to documented needs. The mission of Georgia Highlands College, a state college of the University System of Georgia, is to provide access to excellent educational opportunities for the intellectual, cultural and physical development of a diverse population through pre-baccalaureate associate degree transfer programs, career associate degree programs, and targeted baccalaureate degree programs that meet the economic development needs of the region. Effect quality teaching and learning focused on academic achievement and personal and professional growth. Provide comprehensive student services that encourage and enable all students to be successful learners. Engage students in a challenging atmosphere that prepares them for responsibility and leadership in an evolving global environment. Utilize appropriate technologies to advance programs, services and operations to support teaching and learning. Maintain efficient and effective administrative services and facilities to support all programs of the college. Foster community relationships that facilitate partnering for mutual success. To be the premier public, multi-campus institution of choice throughout our region, while serving as the state leader in transfer and retention within our sector.